While browsing around the web a few days ago, I came across Jirka Vinse Jonatan’s “Real Life” Disney Girls. I’ve seen these illustrations before, but on whatever website I had come across that was reposting these, someone in the comments was whining about how there was no Merida. 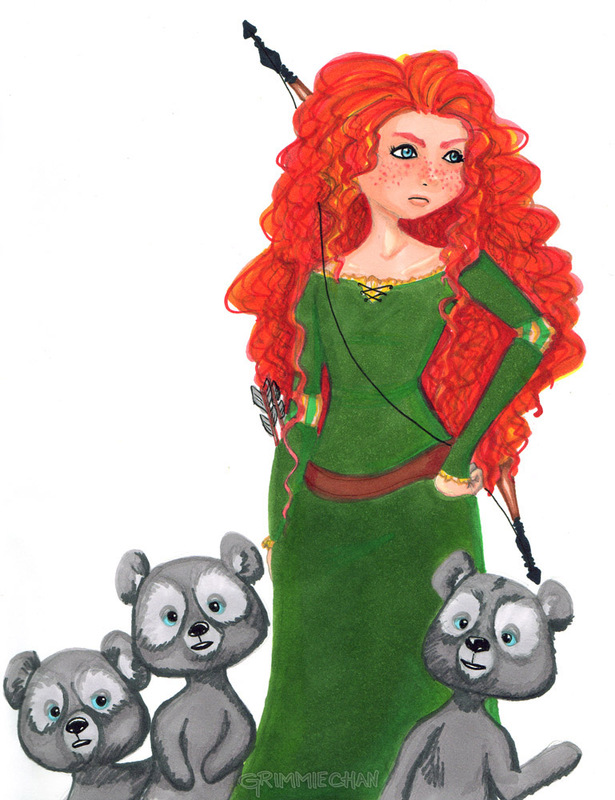 Well, this ended up putting Brave and Merida on my brain, and made me decide to do a random doodle of her one evening. I did not take on the task of making a “real life” version of her, mainly because I wasn’t in the mood for trying to take on some realism. Nevertheless, she appeared on my paper and has been colored during my free time.